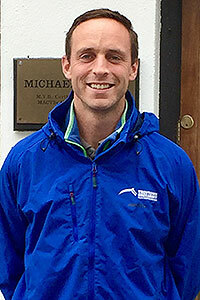 Pat qualified from University College Dublin in 2005 and worked in mixed practice in Kildare for three years before moving to New Zealand in 2008 and embarking on a career in equine practice. During four and a half years in New Zealand Pat worked with top racehorses and sport horses, and pursued further training in dentistry and equine medicine, gaining membership of the Australian and New Zealand College of Veterinary Scientists in Equine Medicine in 2010. Pat returned to Troytown GreyAbbey in 2013. His interests include both first opinion and referral dentistry, racehorse orthopaedics and reproduction.